Authentic brick farmhouse w/ 29+ peaceful acres of operating dairy farm. House has newer metal roof, some new windows, & other updates. Original varnished trim & Hardwood floors throughout or under vinyl per seller. Barn, several outbuildings, 3 silos, & outdoor wood boiler. Land is mostly open tillable or pasture for cattle. Full unfinished basement in great shape w/ interior or exterior access. Some noticeable maintenance due including paint & roofing. 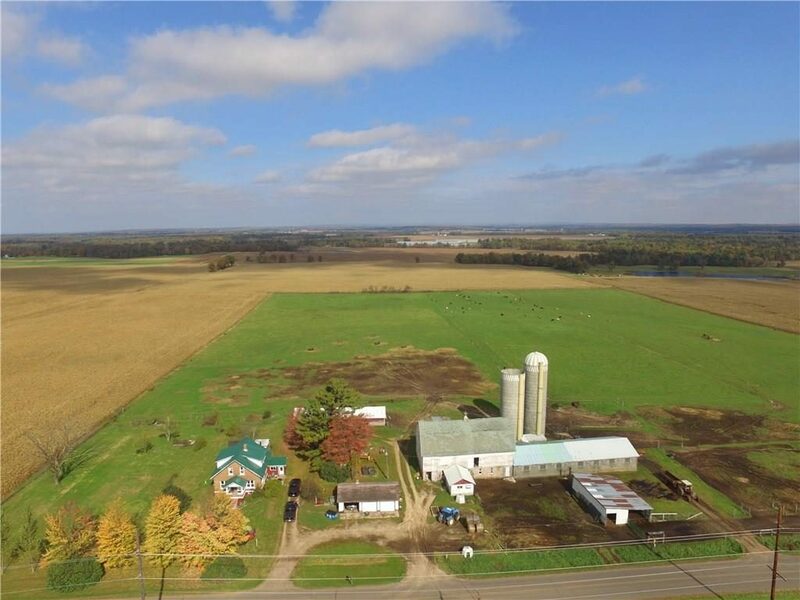 Perfect opportunity for your Hobby farm!